Copper necklace uses hand-formed copper wire, "ethnic coins" and custom polymer beads to frame a turquoise pendant. 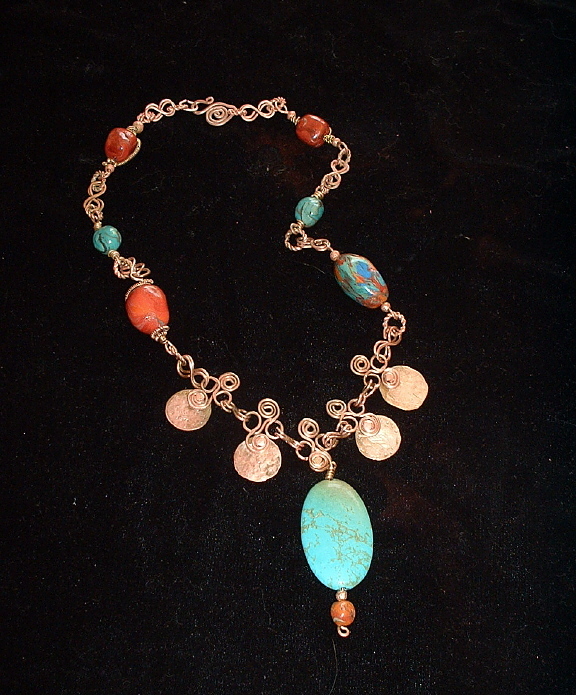 Bonnie Mincu's faux turquoise and coral beads in the body of the necklace make it surprisingly light-weight. Based on Sharilyn-Miller style design. Contact Bonnie Mincu about creating a similar necklace for you.